Wearing the ribbon is a public pledge never to commit, condone, nor remain silent about violence against women, and it is a call on governments and all institutions controlled by men to seriously address the issue. This approach is based on the premise that men can play a positive role in helping to stop violence against women, and builds on the fact that most men are not violent. Its a men's issue because a minority of men treat women and girls with contempt and violence, and it up to the majority of men to create a culture in which this is unacceptable. The White Ribbon Campaign was started by a handful of Canadian men. Two years after a Montreal massacre of 14 women on 6 December 1989, these men decided to speak out about and work to stop men's violence against women. The origins of 25 November as the International Day go back to 1960, when the three Mirabal sisters from the Dominican Republic were killed for their political activism. November 25 was the date chosen to commemorate their lives and promote global recognition of violence against women. In 1999, the United Nations General Assembly declared 25 November as the International Day for the Elimination of Violence against Women, with a white ribbon as its symbol. Campaigns are now held in at least 60 countries. 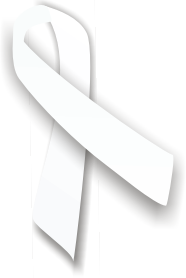 White Ribbon began in Australia in 2003 as part of UNIFEM (now UN Women). It formally became a Foundation in 2007. The Parliamentary Library recently published a Background Note: Domestic violence in Australia. It is a guide to research and resources on domestic violence in Australia and is intended as an update to previous Parliamentary Library publications on this topic (E brief: Domestic violence in Australia and E brief: Measuring domestic violence and sexual assault against women). It includes an overview of research on the prevalence of domestic violence, attitudes and risk factors, at risk groups and communities, and the costs of domestic violence to communities and to the economy. It also covers policy approaches designed to prevent domestic violence, a survey of current Australian Government programs and initiatives, and a review of future directions in domestic violence prevention.